Ernesto Valverde has insisted he will not take any undue risks despite naming Lionel Messi in his Barcelona squad just two weeks after he fractured his arm. 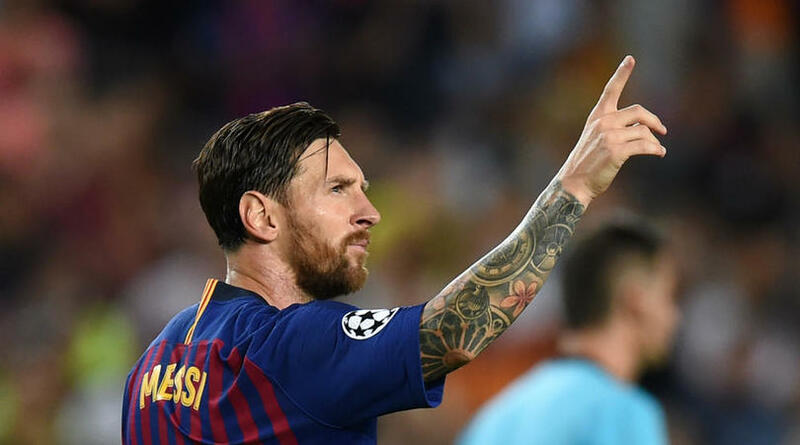 Messi has not played since he was forced off in the first half of a 4-2 win over Sevilla on 20 October, but Valverde included him in the party that travelled to Milan to face Inter in the Champions League. Barca have won all four of their matches without the talismanic Argentinian, with a 2-0 victory over Inter and the 5-1 demolition of Real Madrid the standout results. ‘Leo is at the point where he could be available, but we have to wait. It depends on training,’ Valverde told a news conference. ‘There are three or four options, but we will not take risks [with Messi]. The Catalan giants can clinch top spot in Group B by beating Inter at San Siro on Tuesday, but Valverde is expecting Luciano Spalletti’s side to pose a tougher challenge than they did in their first meeting. He said: ‘To already be in this situation in the fourth game of the group is great. But I do not want to take too many risks. We are going to prepare for the game. We would like to win, of course. ‘We need to control the game to try to reach the goal. It’s the same for Inter. But you also have to be forceful. ‘We’re expecting a similar opponent to the one we had at Camp Nou – definitely more aggressive because of the pressure [on them].